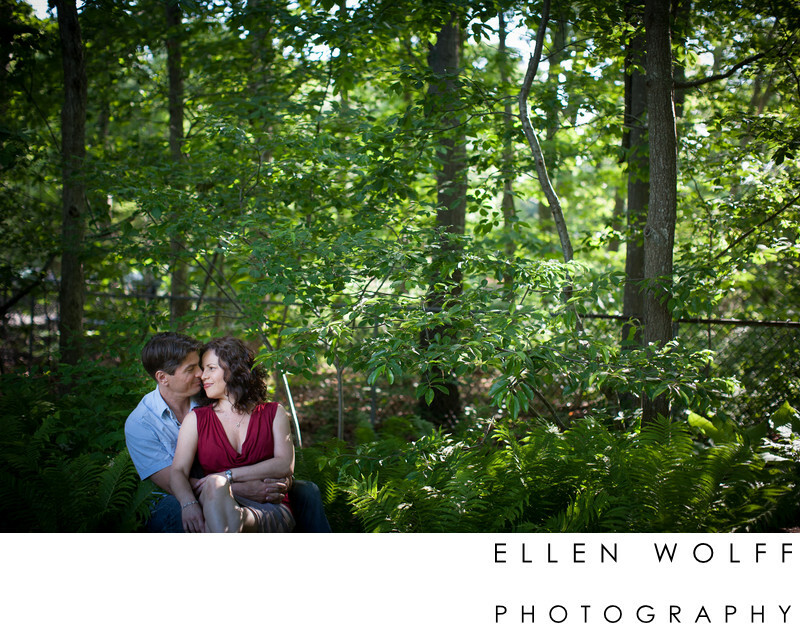 Summertime engagement session on Long Island. The father of the bride has a passion: gardening. So when it was time to pick a location to do the engagement session the bide suggested it as a location. It was a backyard garden according to the bride. But to me, I saw so many "outdoor rooms." The bride wasn't so sure, my photographers' eye was able to see many spots with different backgrounds and foregrounds. Keywords: li engagement photo (3).